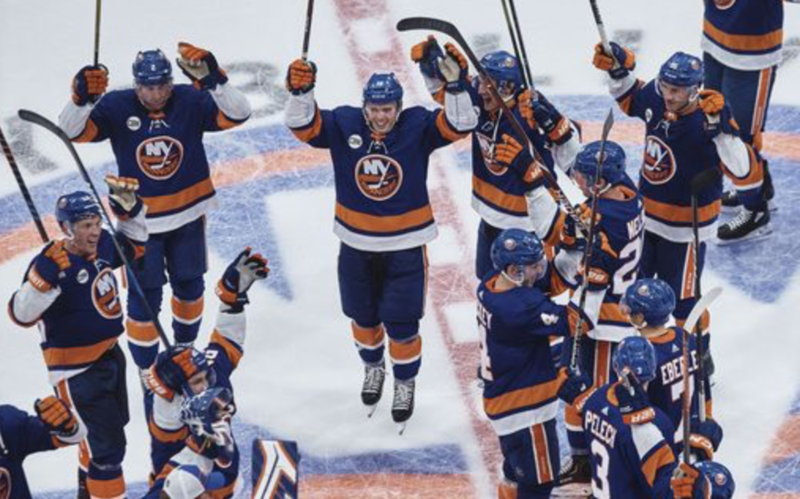 24 games into the season, the Islanders have won 12 games and lost 12 games and picked up the loser point 3 times. They sit 5th in the division and in the playoff mix. Seeing this roster coming into the season I would say overall you have to be pleased but the Islanders have been a very inconsistent team. Winning 5 in a row at one point looking rather impressive and all within the division, but then also playing back to back stinkers versus Dallas and the Rangers. This team has only won 4 of the last 11 games and still has some glaring problems, but with more home games moving back to Nassau hopefully it can provide a spark to keep this team in the running. So who had Brock Nelson as the leading goal scorer through 2 months, and all of them at even strength? He has been one of the Islander top forwards and has really stepped up so far this year. He also is the surprising +/- leader at +10 and has been a solid 2 way 2nd line center. One area he needs to be better is on the power play. He has played 31 minutes on the power play without registering a point. He has not scored in the last 6 and he has shown in the past that he can disappear for long stretches at a time, but to start the year he clearly has been a buy. Clearly the early surprise of the year has been Valtteri Filppula. I can’t say I was expecting much with this signing, but he has been one of the best islander forwards this year. He is second on the team with 7 even strength goals and scored an absolute beauty of a goal to start the scoring in a 4-1 win over Carolina on November 27th. This is the kind of production they needed from their bottom 6 and he is putting up this production while averaging less than 15 minutes a night. 16 points through 24 games after only scoring 33 points has been a huge lift to the Islanders, let’s hope he can continue this going forward. 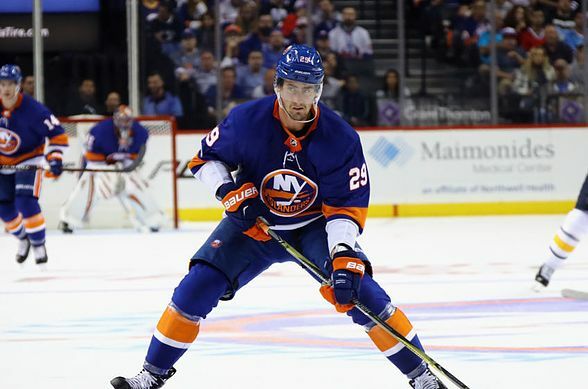 Which defenseman over the last 80 games for the Islanders has put up the following stats? Answer: Nick Leddy. At the end of October last year I wrote about how he was in the mix for the Norris trophy, since then he has been absolutely dreadful. To put his plus/minus into perspective, Thomas Hickey who seems to get absolutely killed by Islanders twitter is +23 over the same period. That’s a net goal differential of 70 or almost one per game. I get that plus/minus is not the perfect stat, but that difference for 2 members on the same team is almost impossible and it’s not a fluke. I’m not sure what happened to him, but he clearly hasn’t been the same player since last October. He once again has the worst +/- of all the defensemen and it just always seems like he is standing around on all the big goals. Besides his recent end to end rush goal against the Devils he has been awful. He is going to have to be a lot better if this team wants any chance at the playoffs. 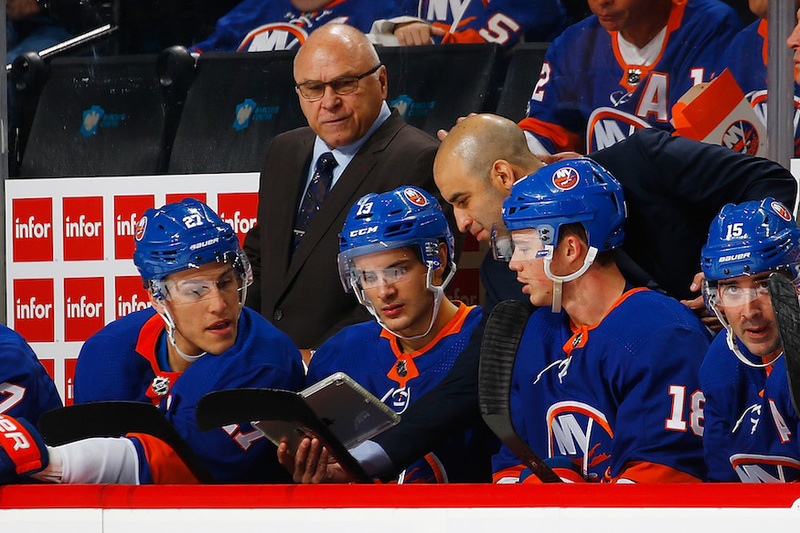 When the Islanders announced the signing of Barry Trotz, Islander Nation rejoiced as we finally had a world class coach to lead this team. So far I would say the results have been a mixed bag. 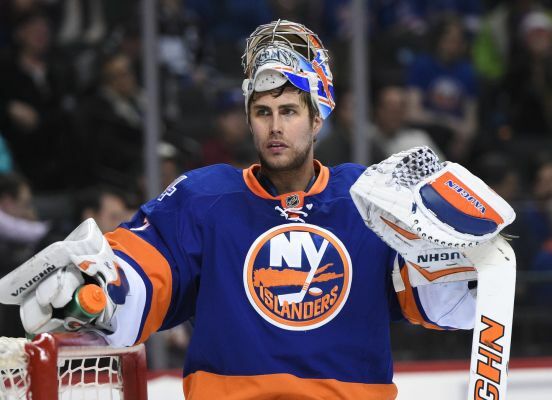 He has reduced the goals against as the Islanders have allowed 70 goals in the first 24 games and are currently second in the division in goals allowed trailing Carolina by 1 (who has played 1 more game). He has gotten more than what was expected out of the Nelson and Filppula as noted above and the goaltending has been miles above where it was last year, but there are still some glaring problems that need to be addressed. 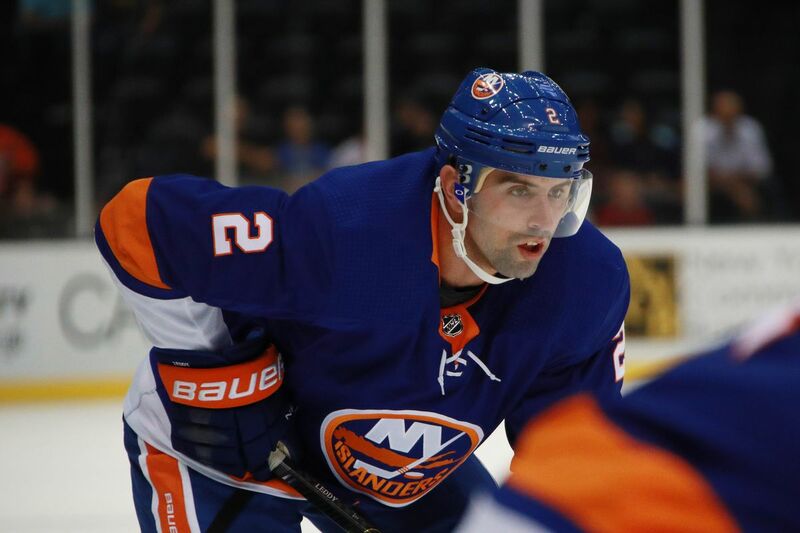 Why break up the Eberle-Barzal- Beauvillier line? This was by far the best Islanders line the 2nd half last season and it’s barely been together for any of the first 2 months. Not surprisingly Beau’s production has dropped although he does have 7 of his 8 points in the last 7 games. I think this was a major mistake and I think this team would be much more successful if he put this line back together. The late blown leads/GW goals allowed – literally the thing that drives me nuts most about this team is this stand around in a spot defense that literally is inviting a late game tying or winning goal which has been going on for as long as I can remember. It’s pretty simple if you stand around on defense you lose. Watching them blow the lead against the Devils late where BOTH the point man and the guy who scored the goal were wide open is a perfect example, the goal simply does not happen if you press the puck. All the top teams press the puck, the fact Trotz has not addressed this and we STILL do this is baffling to me. The special teams – they stink again. The power play has gotten worse – 16% on the year and an awful 4 for 41 in November. I understand we don’t have Tavares, but moving our best player to the 2nd power play unit? It’s just a head scratcher to me. The penalty killing is just as bad – once again too much standing around and sits at just under 78% (60-77). 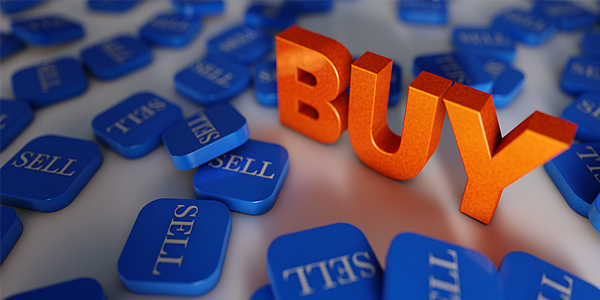 Some positives and some negatives – all which adds up to a hold. Watching Greiss this year has been like watching a different goalie. He has been absolutely fantastic minus the one game at the Garden this year. 8-4-1 2.45 GAA and a shocking .925 save percentage, he definitely has been one of the top surprises for the team this year. You have to give the coaching staff credit here turning around a goalie who had an .894 save percentage last year and honestly didn’t even look like a capable backup for most of the season. This team is going to need above average goaltending to compete and so far with Lehner the Islanders have gotten it. What’s on tap for December – the long awaited return to Coliseum against Columbus which I am looking forward to attending. (Update – it couldn’t have been drawn up any better) 14 games in the month with a tough 6 of the final 7 games on the road.